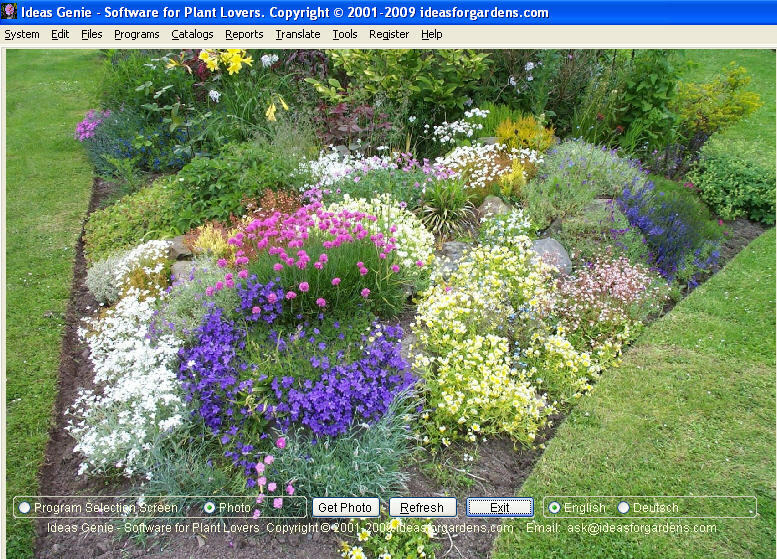 Gardening Software, developed by a business software developer and keen gardener, for keen gardeners. Ideas Genie allows you to keep records of the plants in your garden by adding your Plant Names, Garden Areas, Plant Data and Photos, and much more. This version is the result of another 3 years of development. That makes 15 years in all. Ideas Genie has found its way to USA, Canada, Australia, New Zealand, Netherlands, Belgium, Switzerland, Spain, France, Italy, Kenya, Slovakia, Israel and of course England, Scotland, Wales and Ireland. If you are looking for gardening software designed for the serious amateur or professional gardener, then the answer is yes. Ideas Genie is the perfect choice for keen Amateur Gardeners for personal use. This is practical Garden Software (no gimmicks!) to satisfy the requirements of the most discerning Plant Collector, and Gardening Enthusiast. This gardeners software is designed to align to the format and botanical plant naming conventions described in any good gardening reference book. Special features allow you to integrate seamlessly with the wealth of horticultural resources on the internet. Ideas Genie is renowned for a unique feature which allows plants to be “lasooed” in Garden Photographs. A powerful and highly flexible Garden Plant Database Software, suitable for Plant Collectors and Exhibitors, Bonsai enthusiasts, Commercial Growers, Landscape Gardeners and Garden Designers, yet easily affordable by Amateur Gardeners. The Ideas Genie Menu (above). Ideas Genie - Software for Plant Lovers . If you experience any viewing or print problems, please let us know.